Q. Can I annotate documents stored in my New RefWorks account? 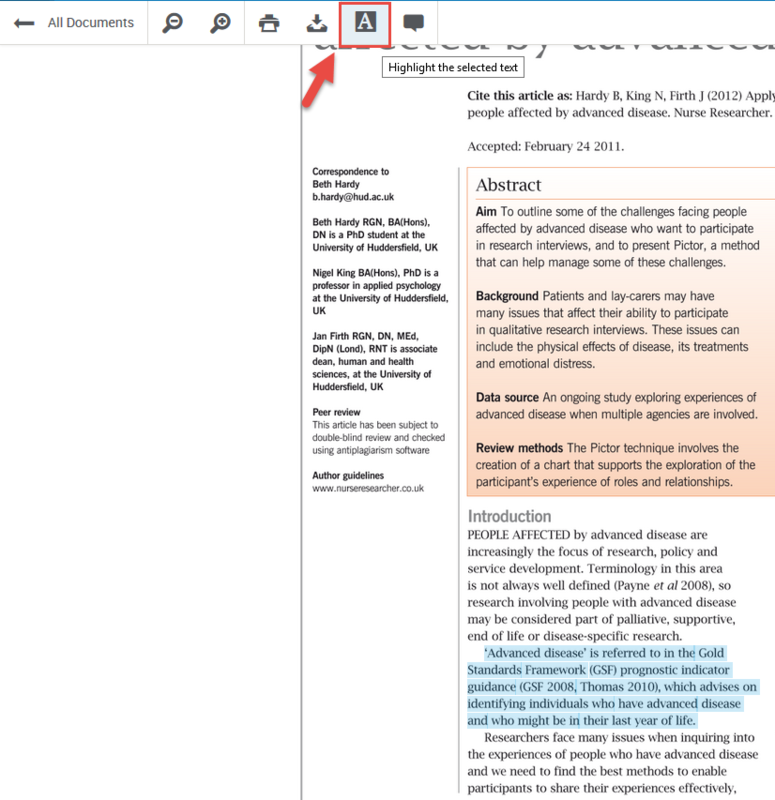 Select the reference that includes the attached document within RefWorks and click on the Read button in the preview pane on the right. For further information on annotating documents in RefWorks, refer to the instructions in the New RefWorks LibGuide.